This fifth installment in the Mission Impossible series does not actually make any significant changes to the base formula of the earlier MI movies. Directed by Christopher McQuarrie, the movie takes the crazy stunts done by Tom Cruise, to a new height making it truly mesmerizing. The movie stars the usual MI actors, Ving Rhames, Jeremy Renner, and Simon Pegg along with new entrants Rebecca Ferguson and Alec Baldwin. Written by Drew Pearce, Laeta Kalogridis, Christopher McQuarrie, Bruce Geller, Will Staples, the movie was released in theaters of UK/US on 31st Jul 2015. In India its schedule to release on 7th August. CIA director Alan Hunley (Alec Baldwin, wants to get the INF disband claiming that it’s agents are nothing more than a bunch of mavericks and meatheads. With the IMF banned, Ethan Hunt (Tom Cruise) and his team is now forced to face a group of highly skilled and well trained rouge agents, called The Syndicate, on their own. The Syndicate is committed towards the objective of creating a new world order by carrying out a series of terrorists attacks, murdering heads of states and destroying major companies. As Hunt and his team, that includes Benji (Simon Pegg), William Brandt (Jeremy Renner), Luther Stickell (Ving Rhames), take up their most impossible mission yet, they are assisted by disavowed British agent Ilsa Faust (Rebecca Ferguson), whose allegiance is still not clear. With this latest release, the 19 year old franchise of Mission Impossible, its leading man Tom Cruise has attained the status of a super agent with a stately appeal. Christopher McQuarrie has handled the task of directing this action packed movie, exceptionally well. The female lead of Rebecca Ferguson has played her character very well and has especially excelled in the fight sequences. 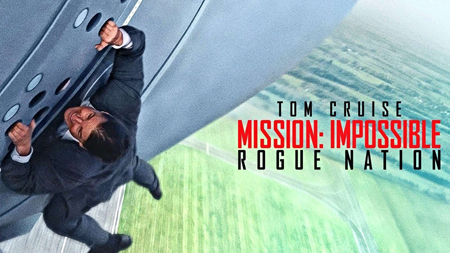 Overall, the movie offers an exhilarating and fun filled experience and IndiaCafe24 gives Mission: Impossible – Rouge Nation a rating of 4 stars. We need to wait at watch how Indian viewers react to this movie releasing on 7th August,2015 in India.